We believe that what we can offer you is second to none. We have a top-quality and comprehensive product range of Designer blinds, wallpapers and murals, and splashbacks, coupled with an eclectic and ever-growing online Gallery of images from which to choose for your printed blind. We can also print corporate logos or other high-resolution photographs onto our products. The options are endless...if we’ve forgotten something, please ask! In addition, we pride ourselves on being able to respond to the most demanding of briefs, and are constantly working towards providing our customers with further creative options and innovative products. So, if you have an ingenious idea, and cannot see what you’re looking for on our website, please give us a call to see whether we can help… generally we can! Our stunning Designer roller blinds are a perfect way to dress a window stylishly, making a real impact in a home or workplace. 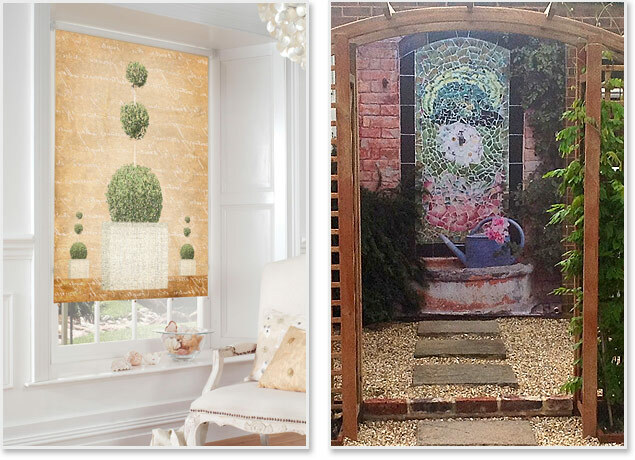 Some of our fabrics are suitable for exterior use too, so, if you need to create a special vista in a garden, for example to cover an ugly door or view, a printed roller blind could be the perfect creative solution. Made from aluminium slatting, and with a digitally-printed finish our Venetian blinds are an ideal choice if you’re looking for a contemporary window dressing with excellent control of the amount of light that comes into the room. A great choice for protecting privacy - tilting the slats at a certain angle enables visibility from inside to outside, but not the other way around - a great idea for both homes and commercial environments. Easily adjusted to allow just the required amount of light into the room, our stylish printed vertical blinds are suitable for most types of window, but especially for large windows and patio doors. A Vertical blind printed on both sides with the image of your choice can act as a great room divider - a brilliant and innovative way to make a real feature, and fabulous in loft rooms and apartments. 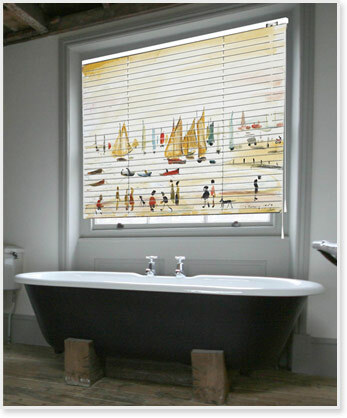 We also offer printed Vertical blinds for bay windows using curved headrails. 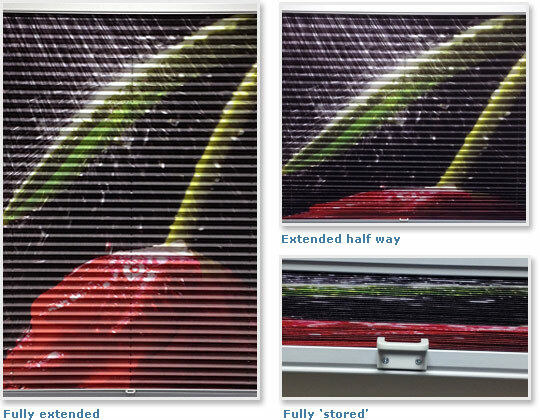 Our printed Panel blinds are perfect for larger windows, patio and bifold doors, and in conservatories. 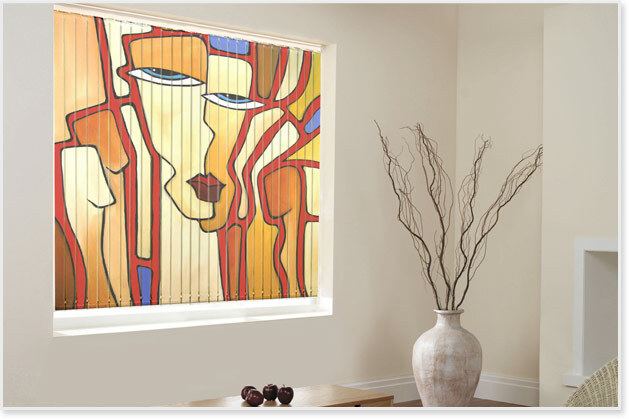 Panel blinds can be slid to either side of the window in the same way as a curtain, and can be easily pulled to block out the sun or to maintain privacy. They can be printed on both sides, making fabulous room dividers, so, if you want to create smaller living or working spaces within, say, a loft apartment room or an office space, printed Panel blinds are an excellent choice. Our printed Roman blinds offer the elegance and softness of curtains but are more versatile and space-saving, covering just the window, rather than requiring wall space either side. Available in both regular and blackout fabrics, the blinds can be personalised further with the addition of a special finishe, for example a scalloped bottom edge or eyelets. For that extra touch of luxury and convenience for both domestic and commercial environments, we offer motorised printed roller blinds, using the internationally-acclaimed SOMFY system. 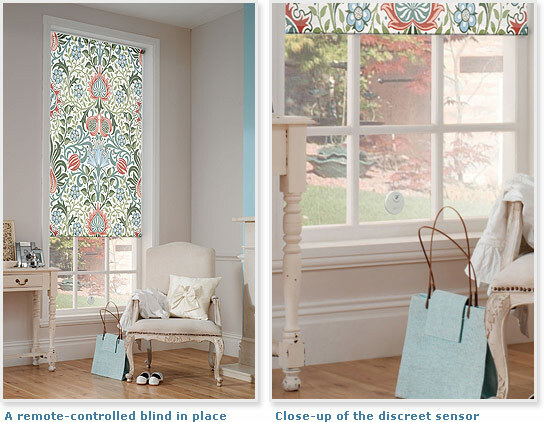 These ‘Smart Blinds’ are available wire-free or hard-wired, both with remote control, and a light sensor if required. The light sensor reacts to the ambient light, and allows the user to pre-set the system to suit the required environment. Many of the images from our online Gallery can be used or adapted for printing onto our Diamond substrate wallpaper, which is ideal in many environments, both domestic and commercial. 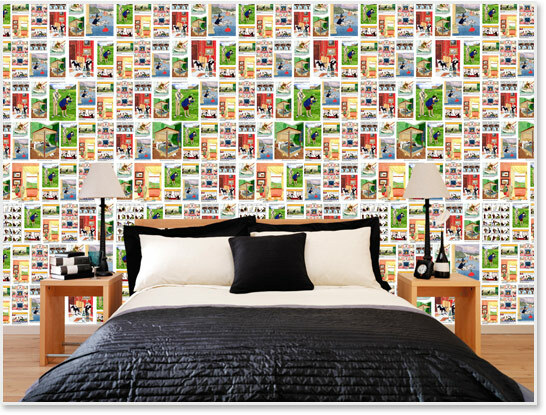 Imagine your own design, illustration or photograph printed onto wallpaper - a really creative and unique design solution for your client. 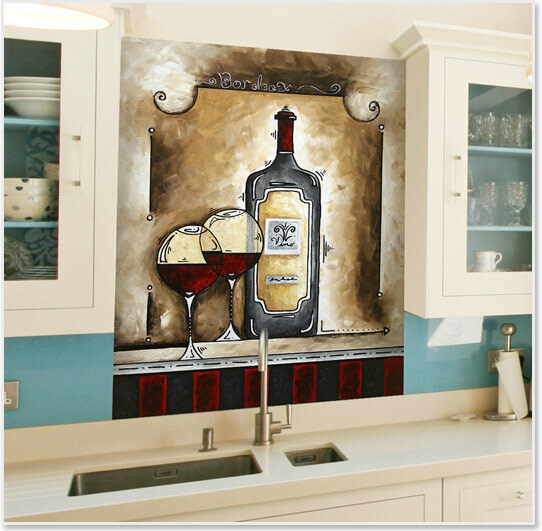 Our range now includes a very exciting product - glass splashbacks, which can transform any kitchen or bathroom. 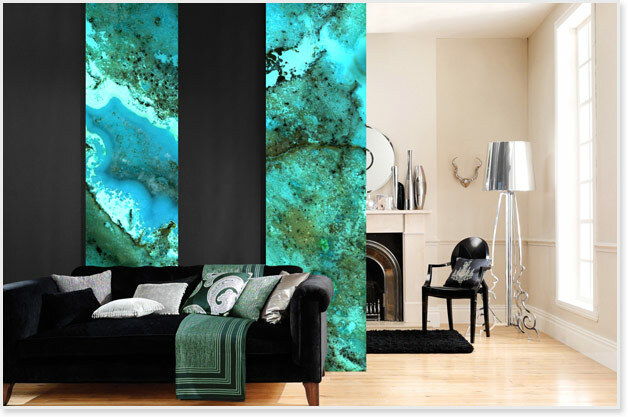 Manufactured from digitally-printed 6mm toughened glass and with an exceptional photographic quality, our printed glass splashbacks can be backlit or fixed directly to a wall. Our printed pleated blinds are a market first. Made to your exact specification, they offer a minimal stack height when the blind is open, facilitating greater light control during the day. 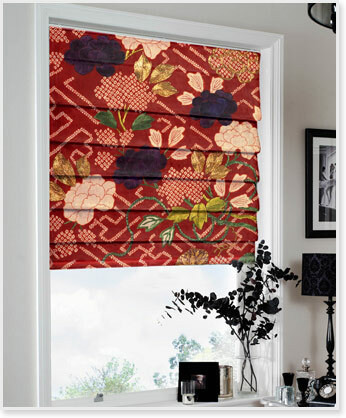 They are fitted with the Equipleat system, ensuring that the blind holds its pleats well and doesn’t sag. Additionally, they are particularly suitable for children’s rooms, as there is no cord attached. So think differently...think Creatively Different.